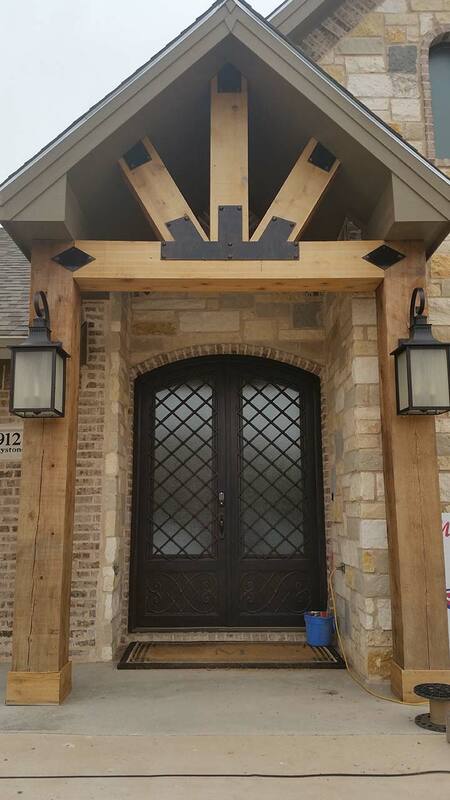 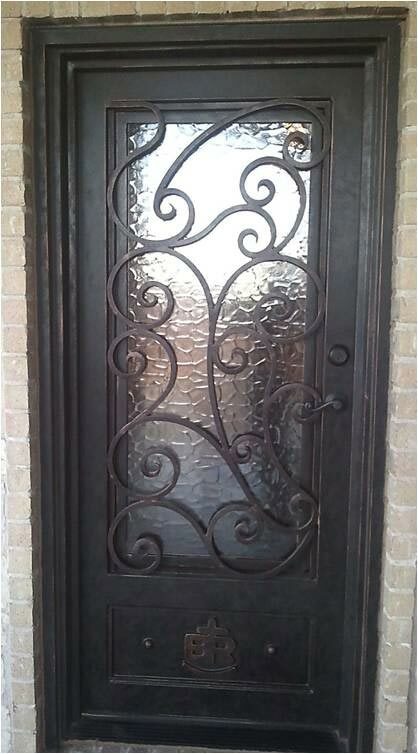 If you’re looking to spice things up, adding a wrought iron design to your entry door can do just that. 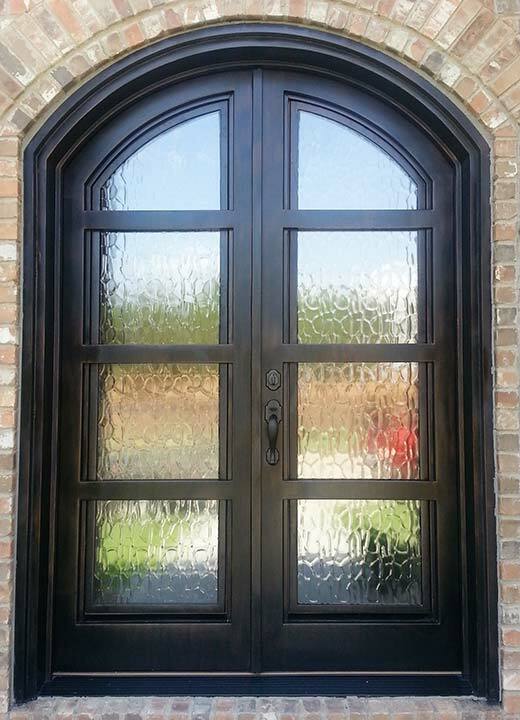 Not only will it create a new, stylish look for your door, it can also make your home more private, especially if it partially covers a large window. 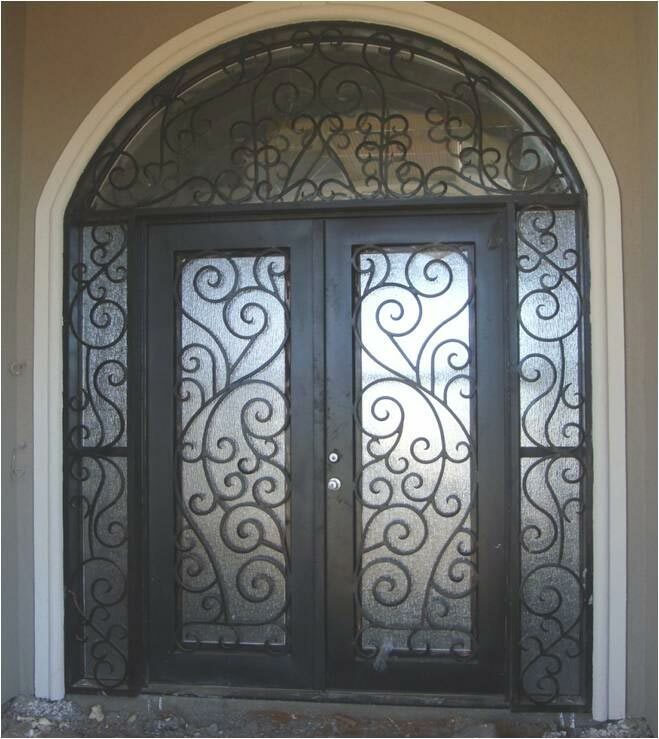 Atrium Wrought Iron offers high quality, custom designed wrought iron works in El Paso. 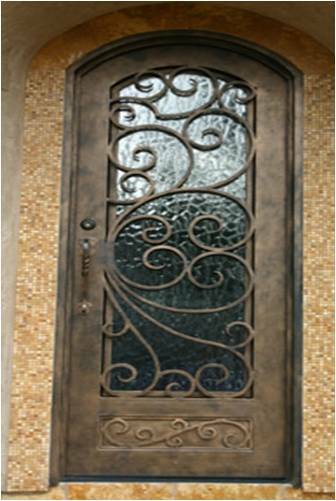 A great thing about entry doors is that you can get creative with them. 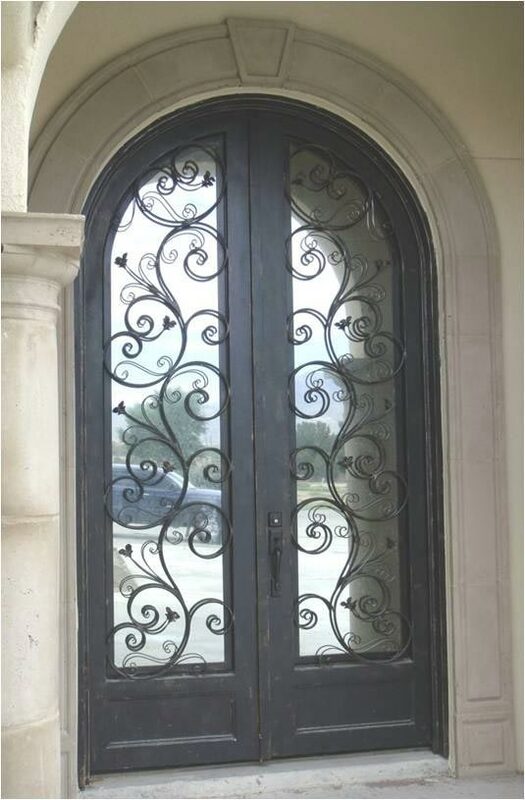 If you want the door to look simple and classy, that’s possible, but if you want to it to look like it opens a large fortress, you can do that too! 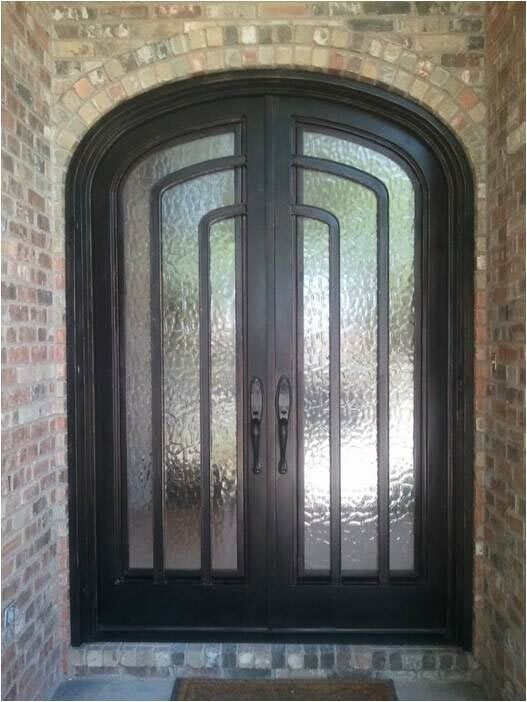 Entry doors are versatile, so no matter what kind of home you live in, you can do what you want to do with it. 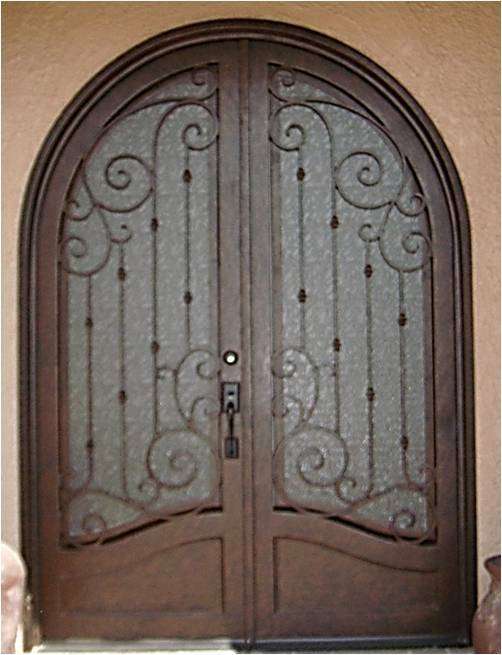 Just think about how it’ll feel greeting guests and hosting get-togethers when you have a beautiful and unique front door. 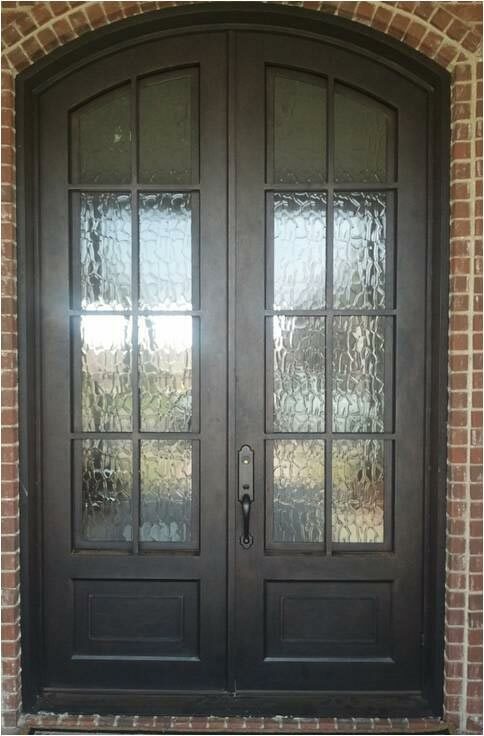 Many people have questions about the materials we use, their durability, and the lifespan of the doors. 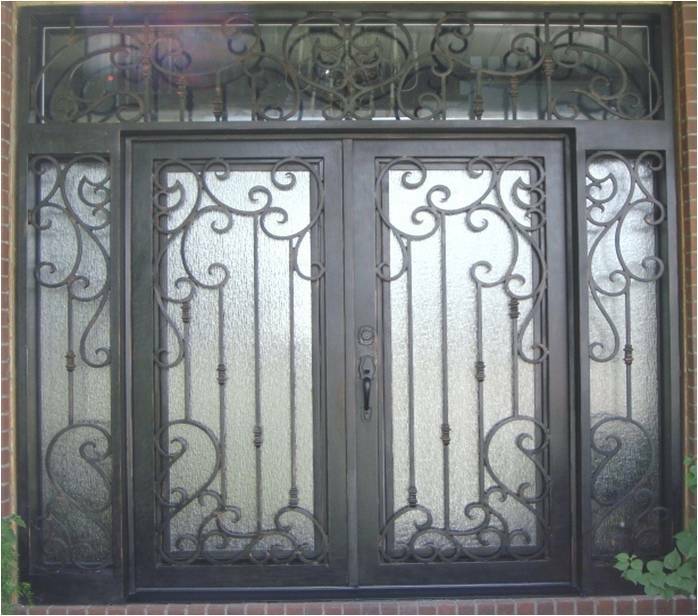 One of the most common things we are asked is if wrought iron becomes hot in the sun. 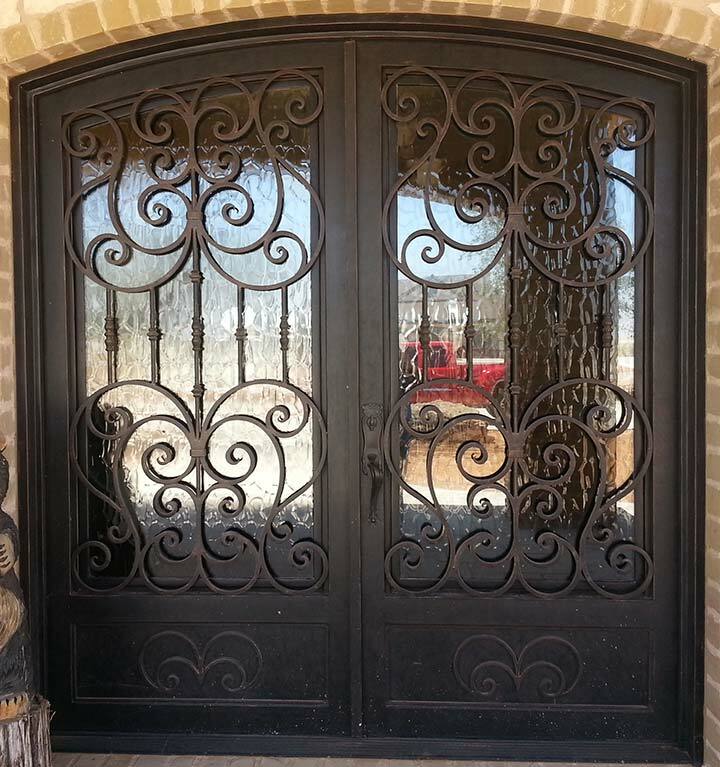 While the iron may heat up, we insulate and fabricate the doors to prevent this heat from traveling inside. 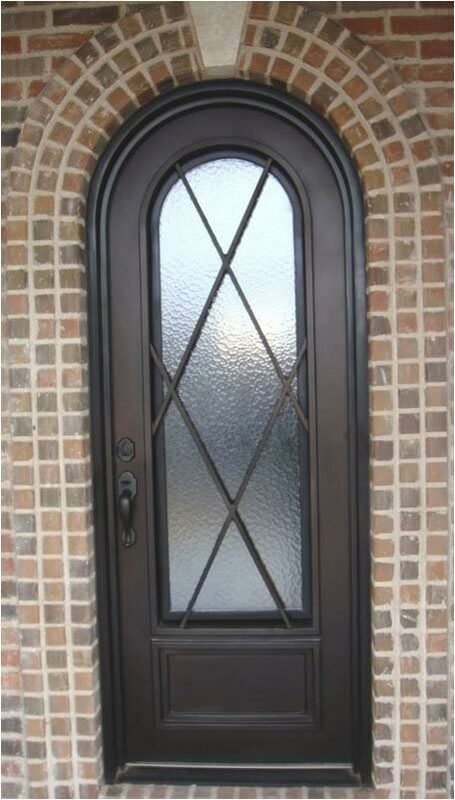 The same process also protects your home from water leaks when it rains. 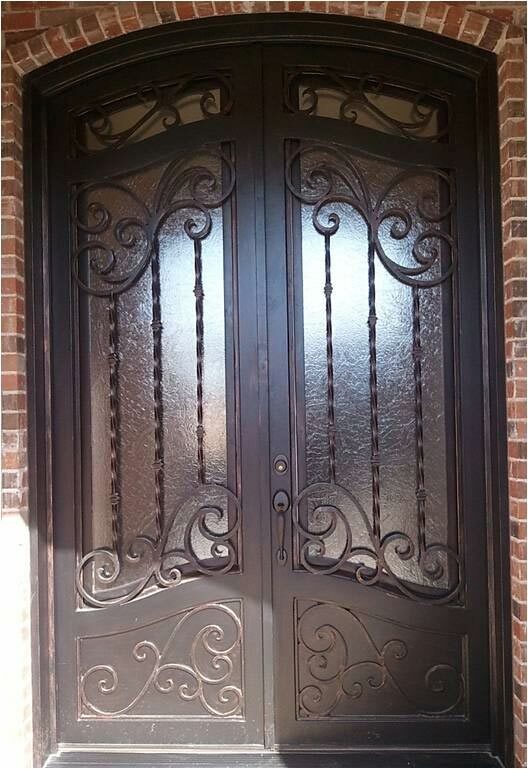 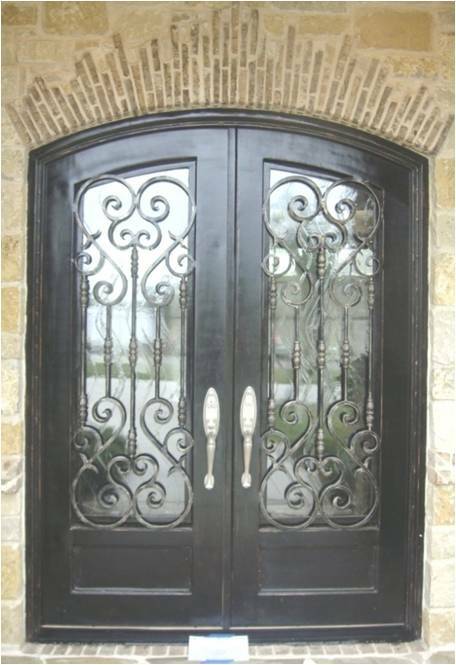 Others also wonder about the benefits of wrought iron entry doors. 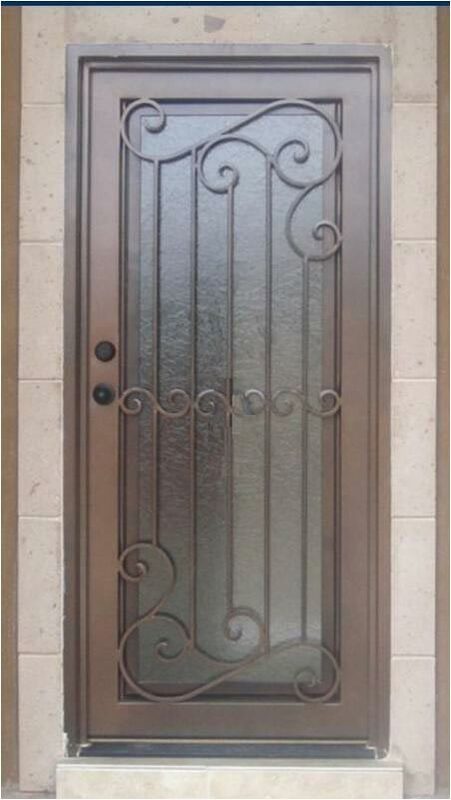 Well, not only do they have an aesthetic appeal, they can also keep your home safe from intruders. 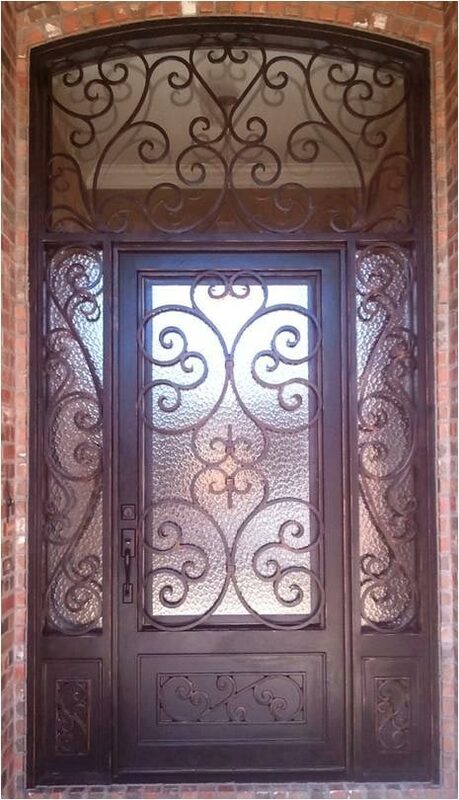 With a wrought iron design on your door or a wrought iron screen door in front of your regular door, intruders would have a hard time breaking in. 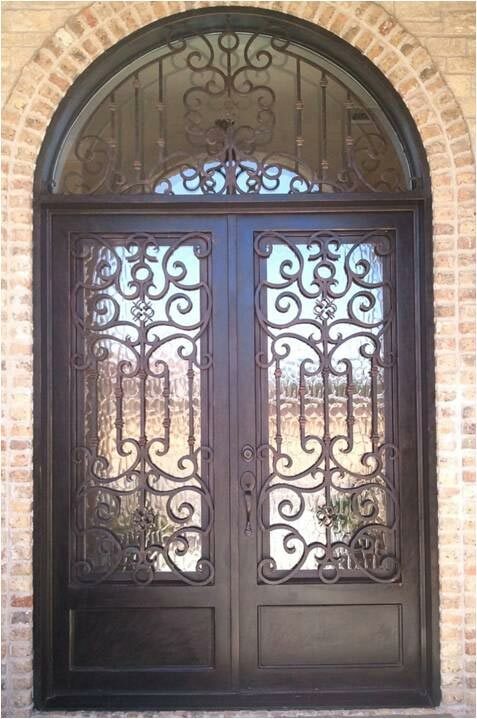 Wrought iron is tough and durable, making it hard to cut through or damage, essentially helping to keep you safe. 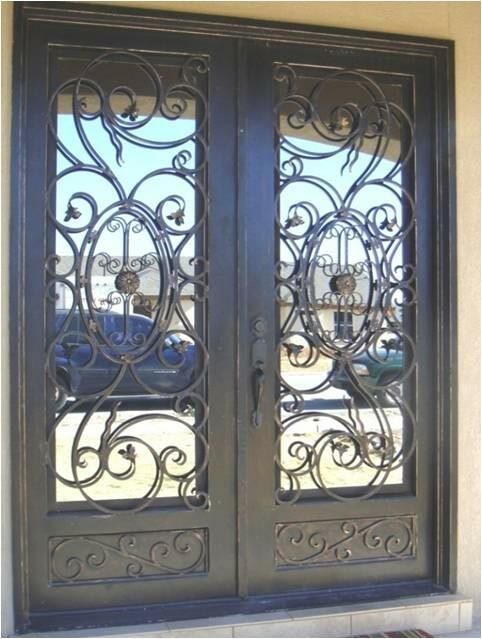 Lastly, many wonder how wrought iron doors are made, so let’s talk a little bit about that process. 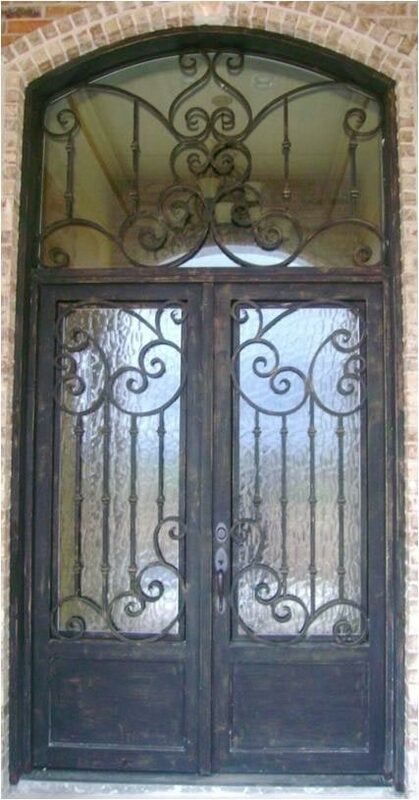 Making wrought iron is a basic skill that all blacksmiths learn and have learned over the centuries. 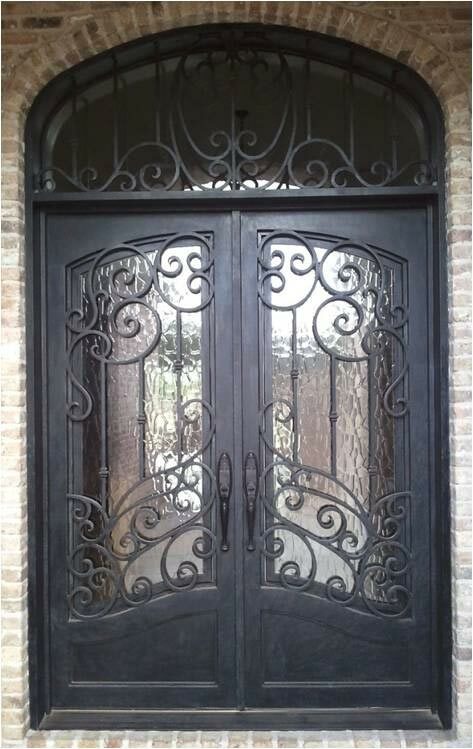 In short, wrought iron begins as forged pig iron. 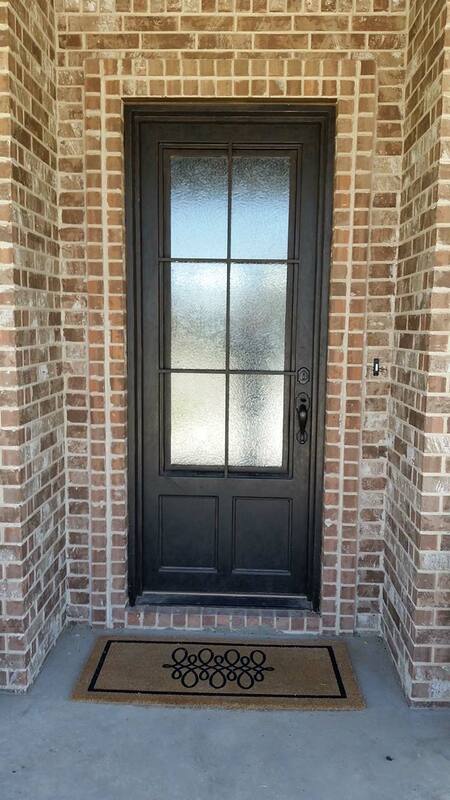 Then it must be heated, refined, puddled, shingled, and boiled before we arrive at the final product. 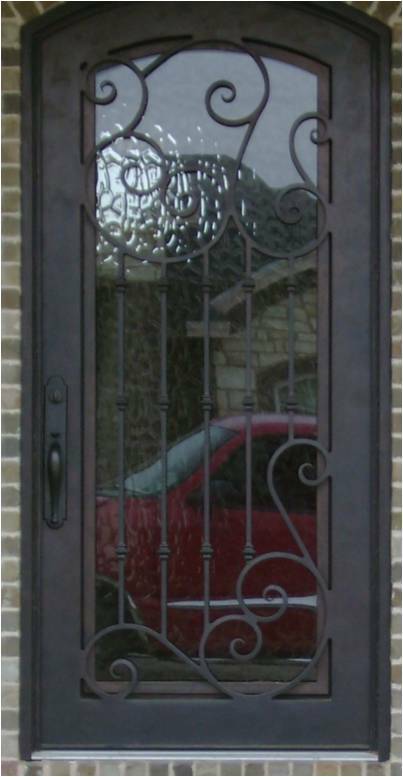 This process is hot and can often be dangerous when not done properly. 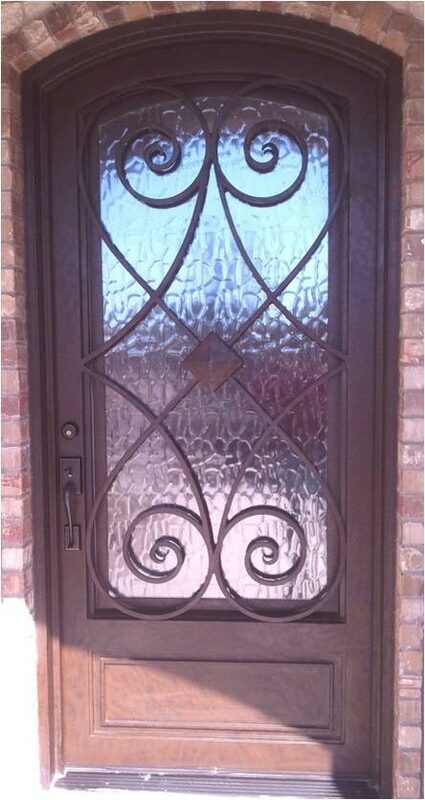 That is why it’s important to let the professionals handle it. 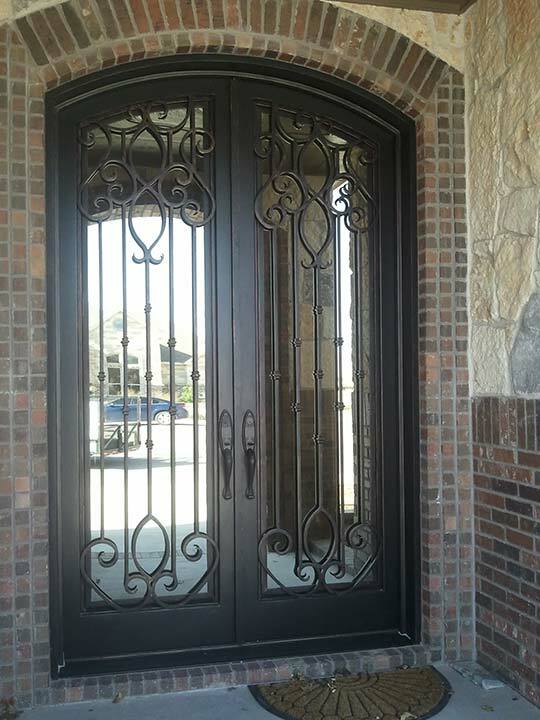 With us, you can trust that your entry door will be high quality and custom made to your liking with fine craftsmanship. 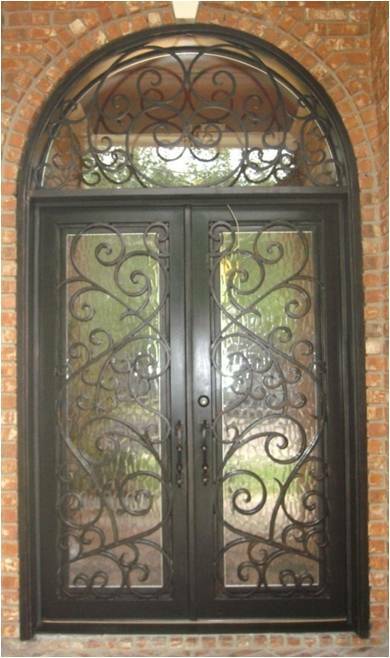 Call Atrium Wrought Iron Today! 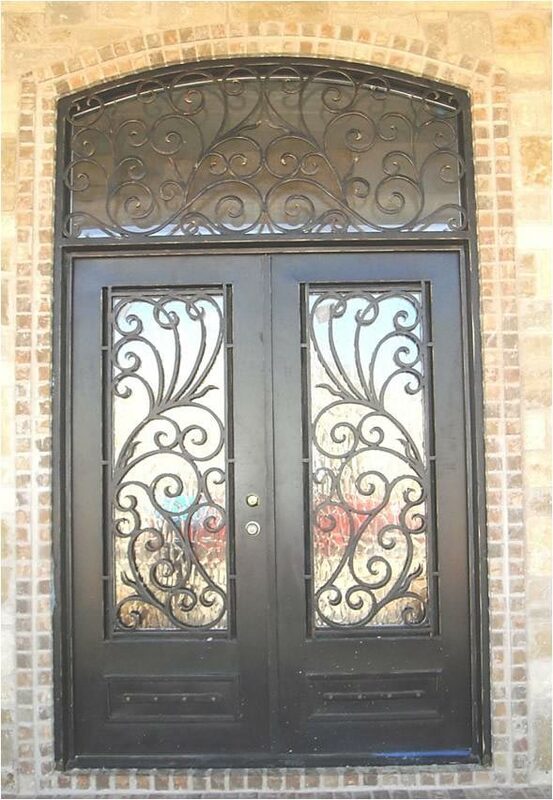 If you’re in the market for a wrought iron entry door, call Atrium Wrought Iron today! 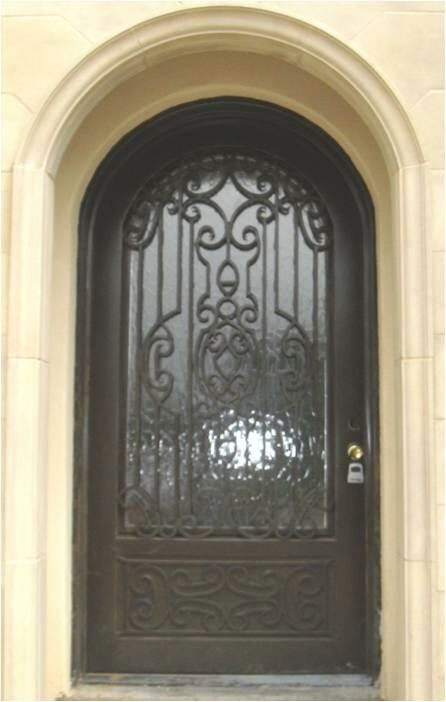 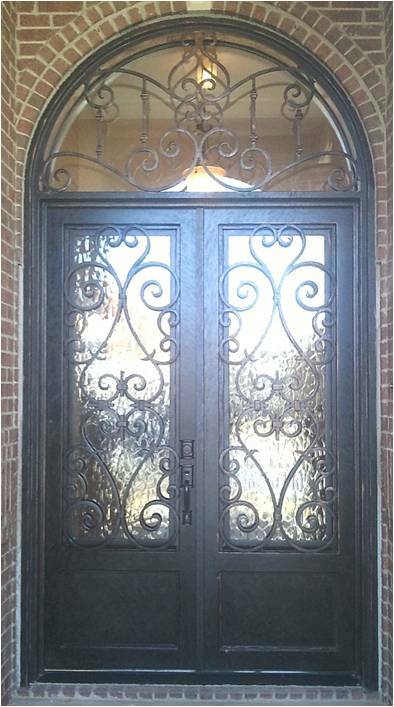 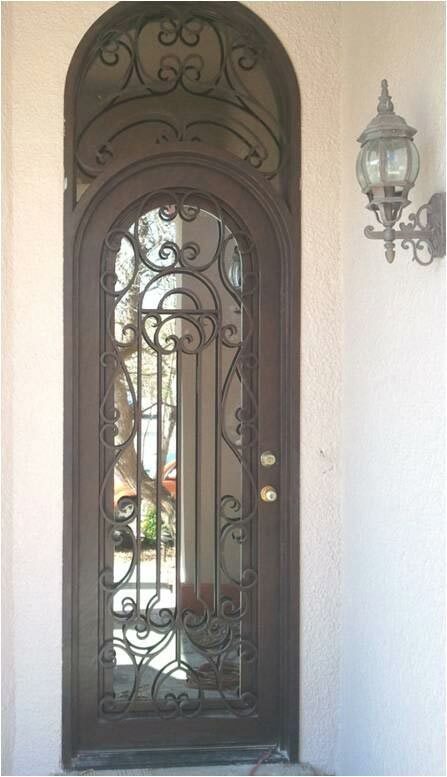 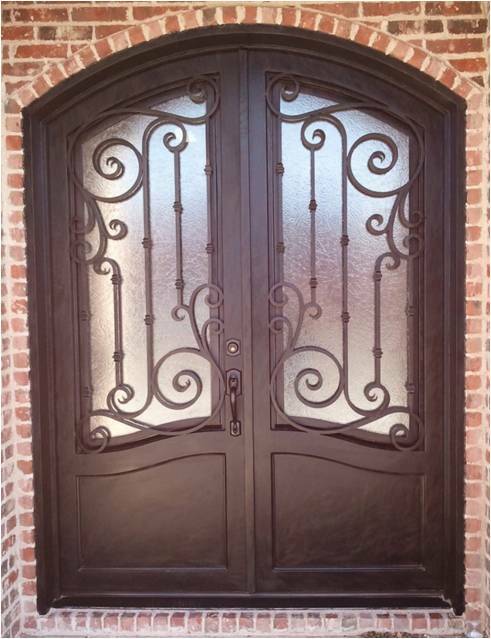 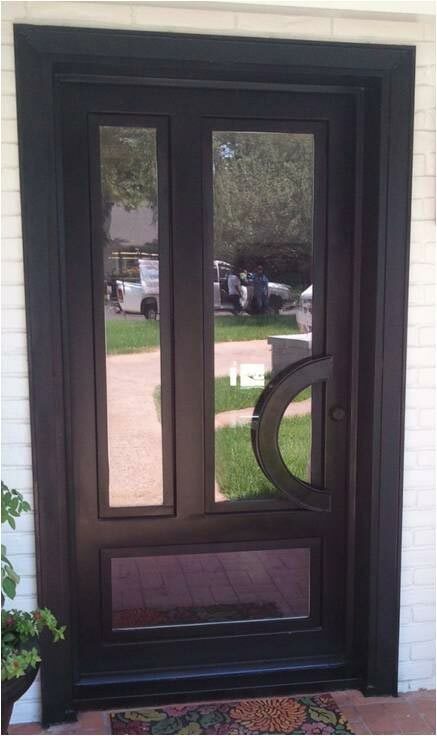 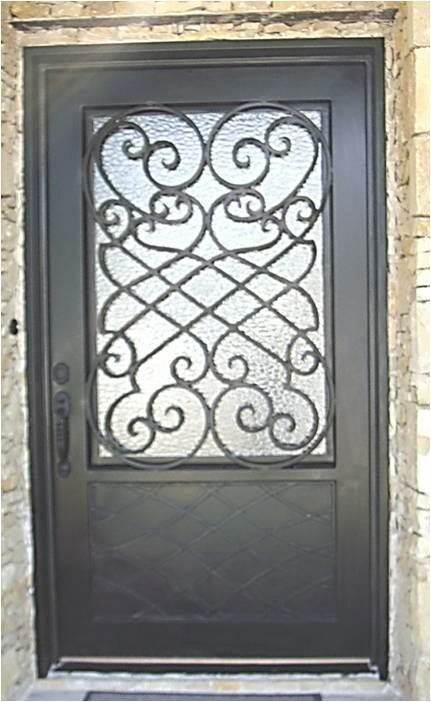 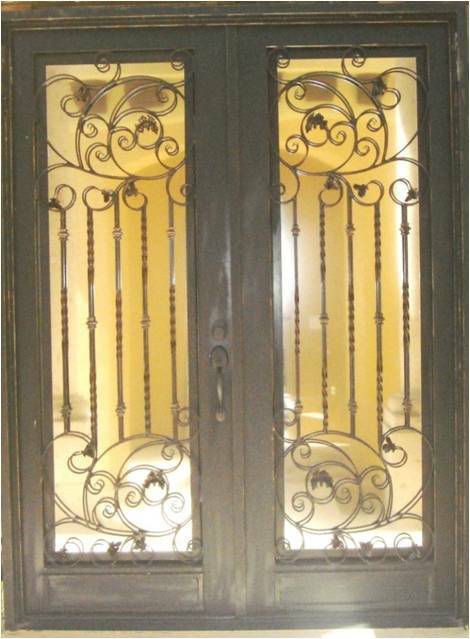 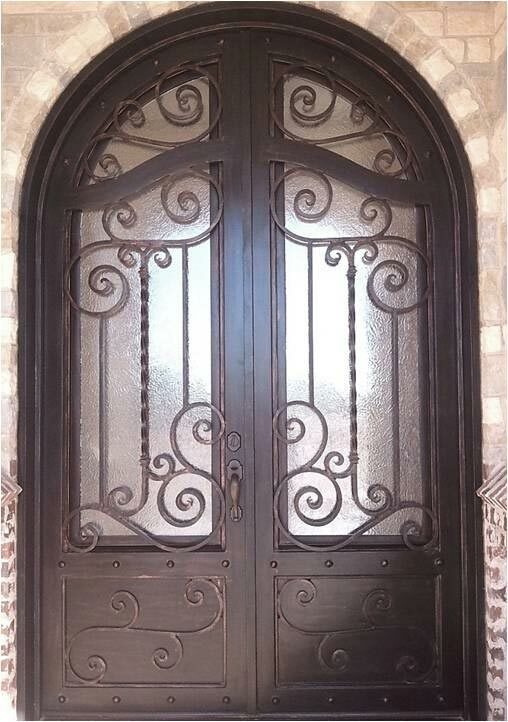 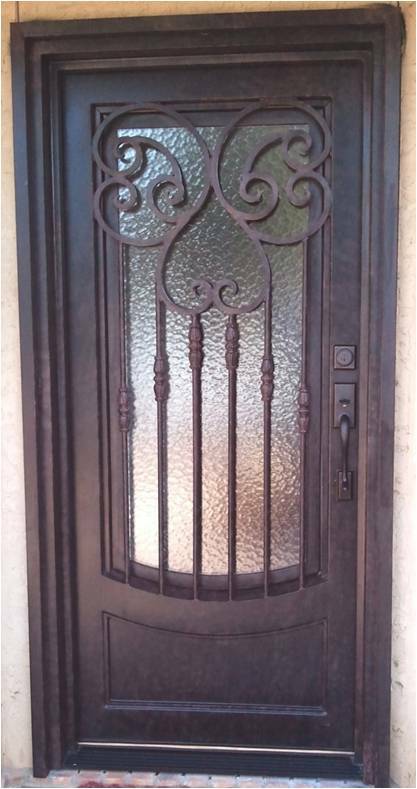 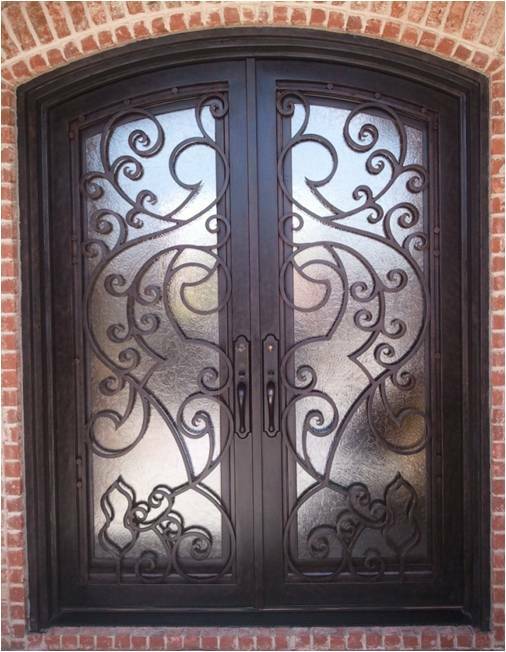 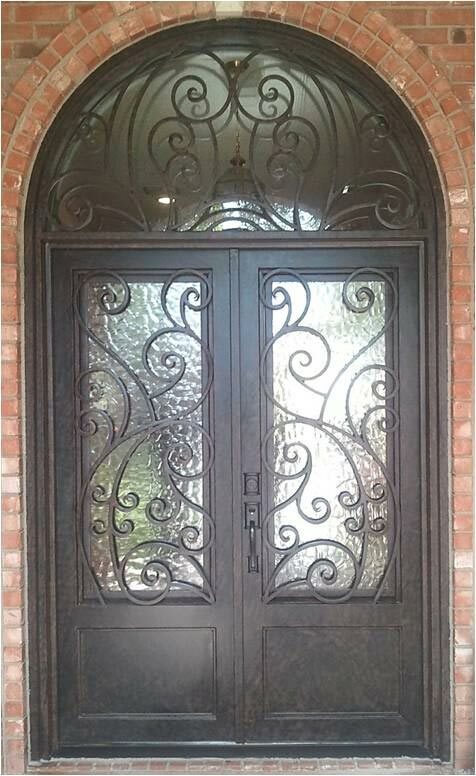 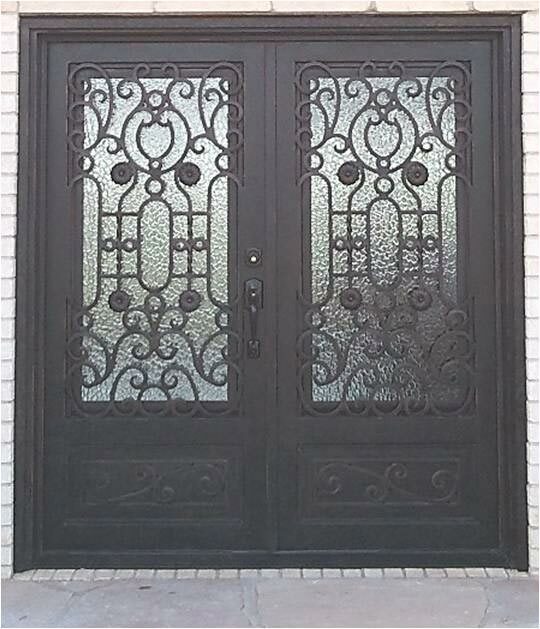 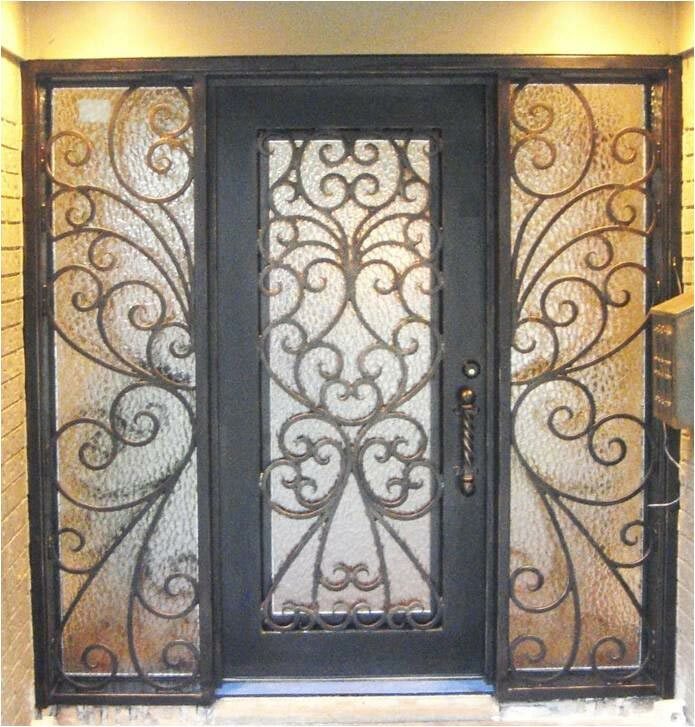 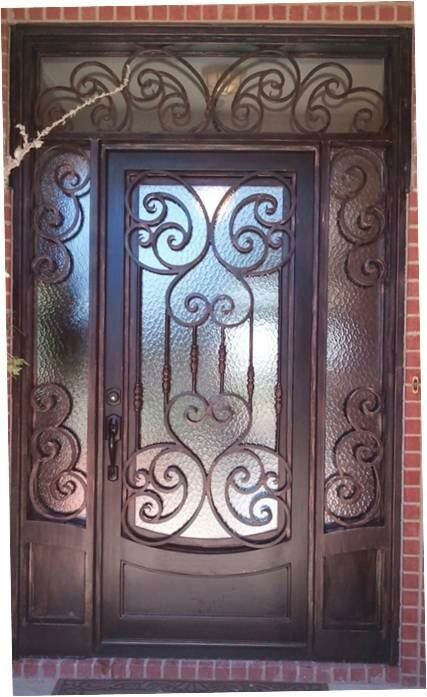 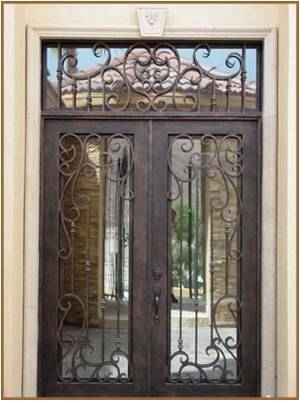 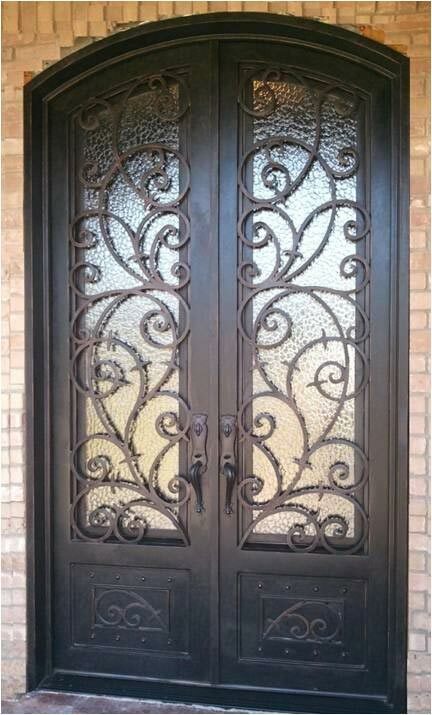 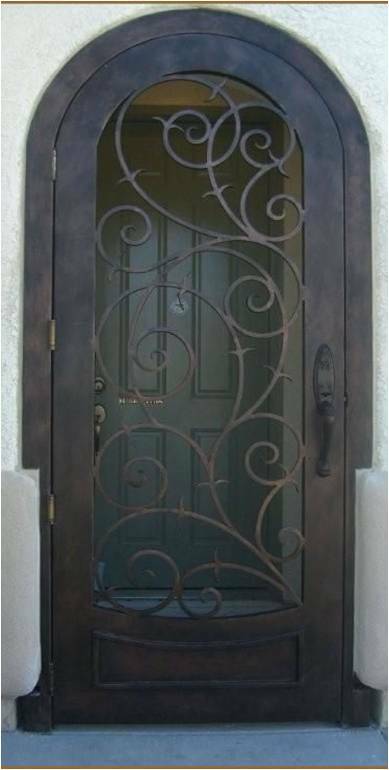 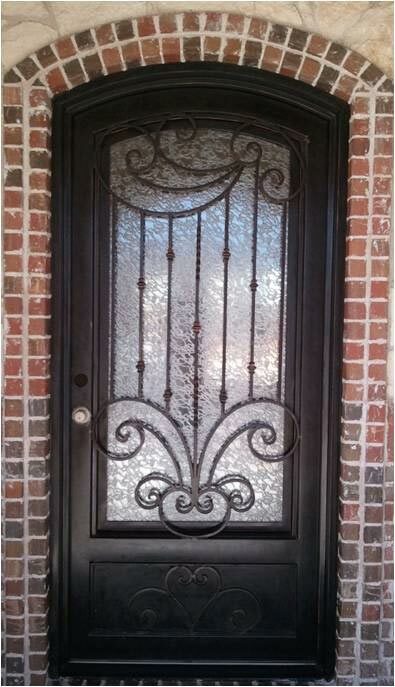 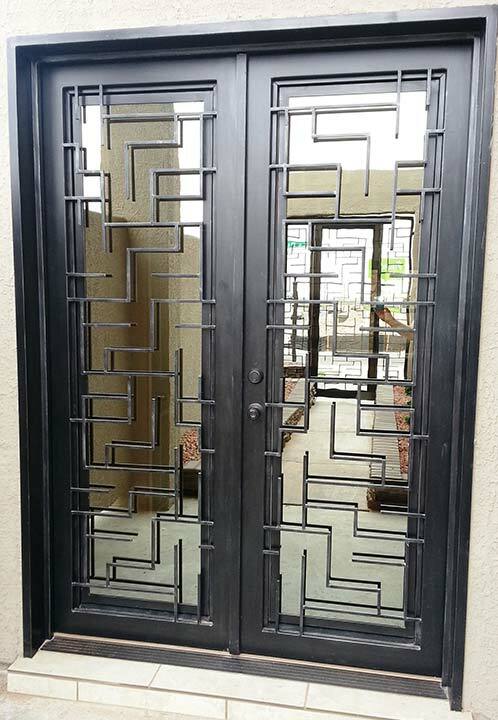 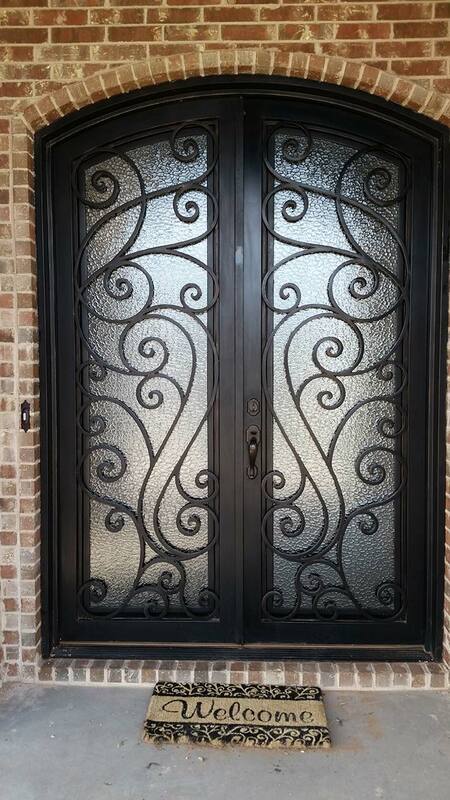 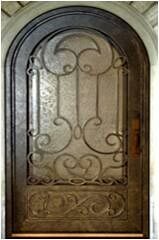 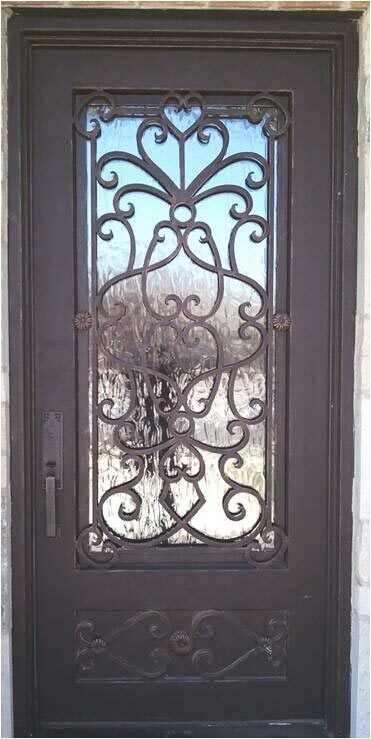 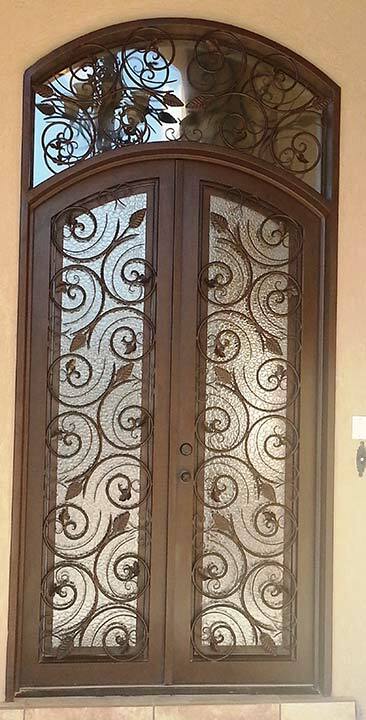 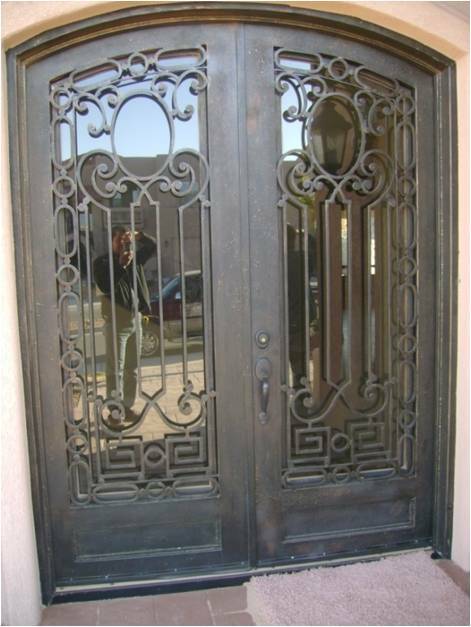 We can add wrought iron designs to your door and install wrought iron screen doors. 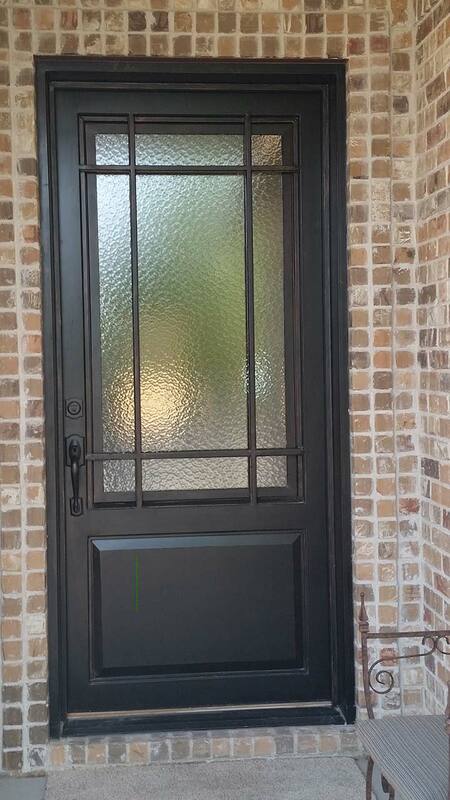 With over 10 years in the business, you can trust we’ll get the job done right the first time.